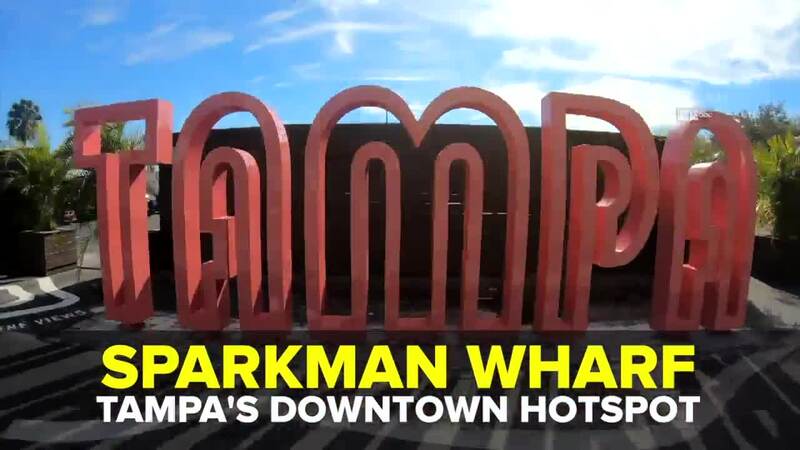 The new Sparkman Wharf is about eating, drinking and playing — all with a waterfront view. Featuring 10 delicious restaurants and a 30-tap biergarten which pours local and other Florida brews, this downtown foodie hotspot has reshaped Tampa's Channelside district. 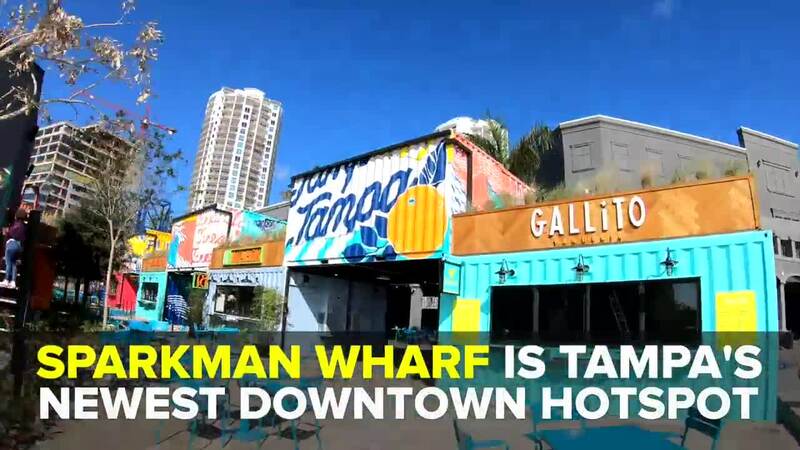 The new Sparkman Wharf is about eating, drinking and playing — all with a waterfront view. Featuring 10 delicious restaurants and a 30-tap biergarten which pours local and other Florida brews, this downtown foodie hotspot has reshaped Tampa's Channelside district. The green space will also have plenty of lawn games like giant chess and shuffleboard, a huge LED screen and spots to lounge are set-up around a dog-friendly, astroturf lawn that’s cooled underneath with a special cooling agent for hotter days. And if you like art, count on seeing more featured at Sparkman Wharf where murals on shipping containers are a perfect backdrop for Instagram.